*14 Days *11 meetings *450 – 500 children, youth and adults reached with the Gospel. One of our prayers as we journeyed to Haiti was that we would see the people through Jesus’ eyes. Certainly our hearts were moved with compassion as we witnessed the volume of people on the streets, interacted with many children, heard the stories of people surviving the earthquake, looked into the eager eyes (eager for positive change) of a group of youth asking us what our impression of Haiti was and gaining a deeper understanding of what has compelled our dear friends to dedicate their lives to this land, to this people! 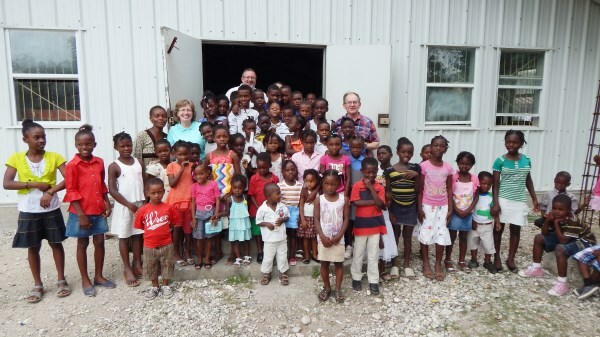 Randall and Anita Stahls missionaries to Haiti with the Independent Holiness Church for 36 years were our hosts.